In this module of Living in the Path, Lama Zopa Rinpoche shows us how to take the essence of our precious human life by transforming our normal daily activities – walking, washing, dressing, etc. 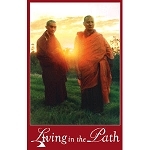 – into a cause of enlightenment by doing them with a bodhichitta motivation to benefit all sentient beings. 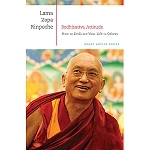 The course materials consist of 24 pages of lightly edited transcripts accompanied by two video excerpts of Lama Zopa Rinpoche’s teachings drawn from the Light of the Path Retreat 2009 held in North Carolina, USA. The module is introduced in a video featuring Ven. Sarah Thresher.